Also known as the ‘Land of Peaceful Dragon’, the kingdom of Bhutan is a fine example of ancient traditions blended with modernity. When it comes to South East Asia, Bhutan is becoming one of the most sought after destinations in the world. It has been voted as the happiest country in Asia and indeed a perfect tourist hideout. The scenic beauty of its locations is at its pristine best and brings out sheer admiration. 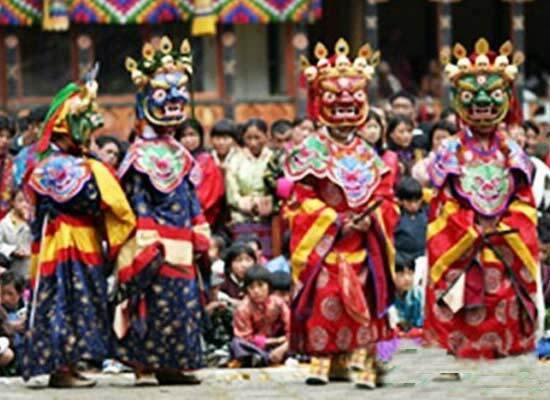 Also included in the ‘Bhutan Folk Festival journey’ is the 3 days Tshechu festival. 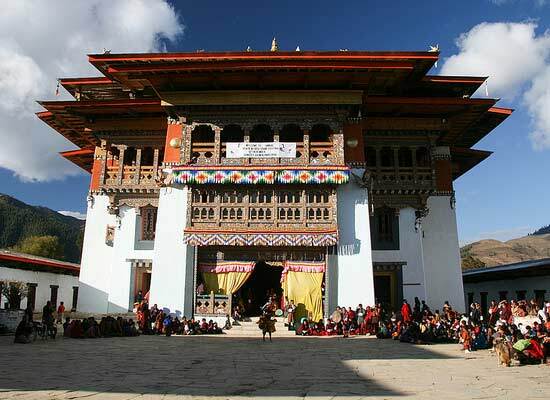 Upon arrival at Paro Airport, meet our tour representative at the airport and get transferred to Thimpu. On arrival, check in at the hotel in Thimpu. Stay overnight at the hotel in Thimphu. Post breakfast in the morning, set out for a sightseeing tour of Thimphu. 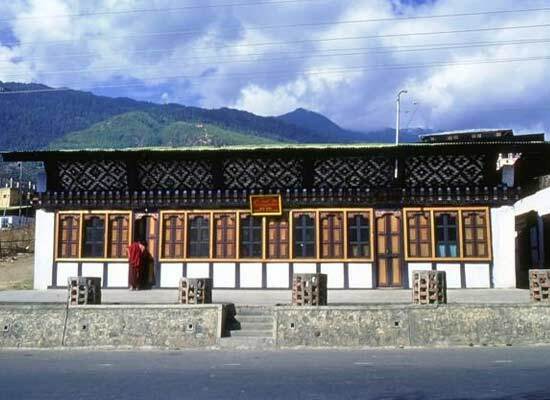 The places you will visit in Thimpu include the National Library, Painting School, Traditional Medicine Institute, Trashichhodzong, Handicrafts Emporium, Memorial Chorten and Textile & Folk Heritage Museum. Later, head straight to Punakha- the former capital of Bhutan. 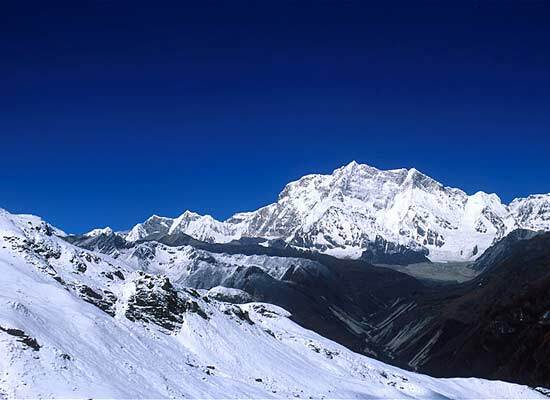 On the way, visit the Dochula Pass. Stay overnight at the hotel in Punakha. For three consecutive days, attend the folk festival Tshechu. It is a festival where people dressed in local attires and indulge in celebrations. Various competitions such as mask dances, archery, cuisine and dart are organized and the winners are given prizes. It is a great opportunity to witness the local lifestyle. Post breakfast in the morning, hit the road to Dochula Pass. En-route, treat your eyes with the spectacular views of the majestic Himalayan peaks such as Tsendagang, Terigang, Kangphugang, Zongphugang, Masagang, Jejegangphugang and Gangkar Puensum- the highest peak in Bhutan. Later, head straight towards Wangduephodrang town. On arrival, have your lunch and proceed towards the Trongsa across Pelela pass (3,300 m ), the traditional boundary between east and west. On the way, make a stopover at Chendbji Chorten, an 18th century structure by a Lama known as Shida. Upon arrival, check in at the hotel for overnight stay. Post breakfast in the morning, head straight to Phobjikha by crossing semi-tropical dwarf bamboo and the rhododendron trees. Arrive in the broad glacier valley of Phobijika. In the evening, enjoy a leisurely stroll around Gangtey village and explore Gangtey Gompa. Stay overnight at the Camp in Phobjikha. Today, drive back to Thimphu via Dochula Pass. On the way, halt for a hot tea or coffee at Cafeteria. 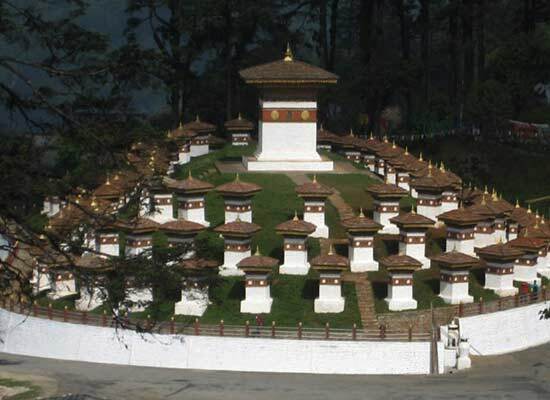 Start your day with a visit to the National memorial chorten- a monument built to commemorate the third king of Bhutan. Later, visit the Traditional Painting School and Textile Emporium. Thereafter, halt at National Library where ancient rolls are preserved. Later, leave by road for Paro. Stay overnight in the hotel. Post breakfast, start your day with a short trip to Paro’s upper valley. Enjoy the scenic views of the Goddess Mt. Chomolhari. Later, return back to Taksang Monastery. During the 8th century, Guru Rimpoche is believed to have flown to the site on the back of a flying tiger and therefore it was named Taksang. Stay overnight at Paro hotel. Post breakfast in the morning, bid adieu to the land of peaceful dragon and board the flight for onward destination.